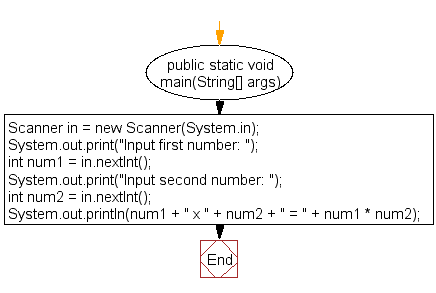 Write a Java program that takes two numbers as input and display the product of two numbers. 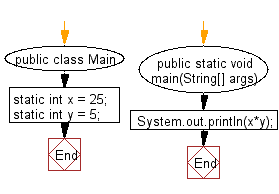 Previous: Write a Java program to print the result of the specified operations. Next: Write a Java program to print the sum (addition), multiply, subtract, divide and remainder of two numbers.